One of my daughter’s favorite play spots in Greenville is at Runway Park. What kids do not like airplanes? I don’t know of many. A park plus airplanes equal happy kids. 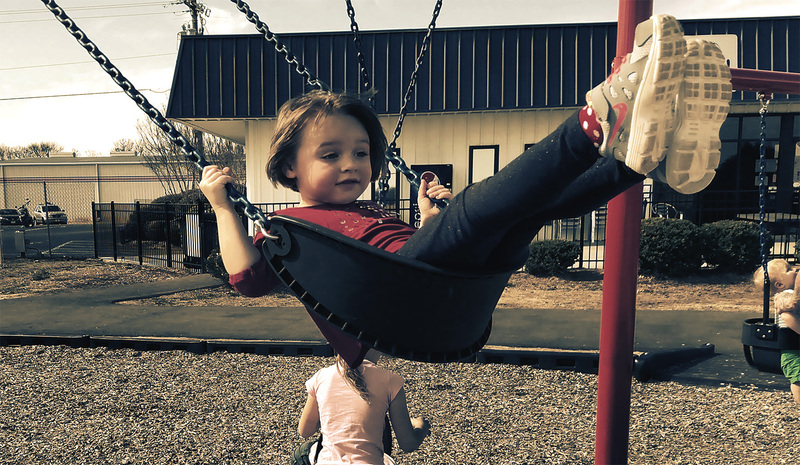 If you’re looking for a park or play spot in Greenville, SC for your kids to play. I highly recommend you check this place out. One complaint that Adrianne and I have about the park is that there could be more swings. There have been numerous times that we were there and kids would be waiting for the swings. Overall, this park is fabulous. “Bela’s” also known as Cabela’s. She loves the gigantic fish aquariums! The park is located near the control tower at the Greenville Downtown Airport. This is the airport near TD Convention center off of North Pleasantburg Drive. The park is accepting donations to pave the upper parking lot. To donate please visit Runways Park website here.